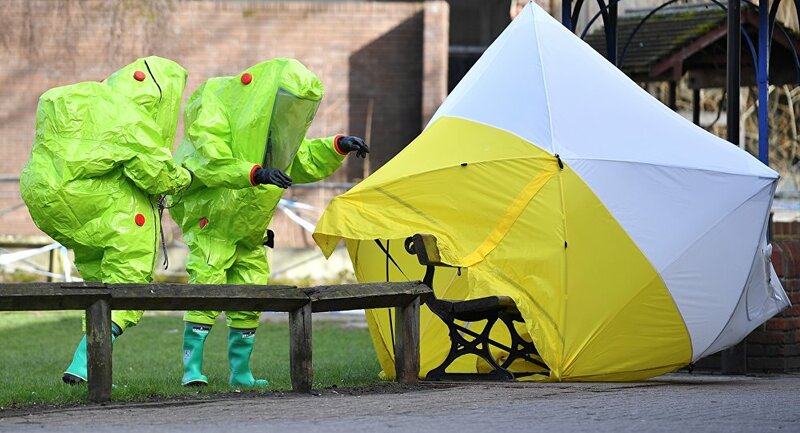 MOSCOW (Sputnik) - British intelligence agencies speculate that the highly toxic nerve agent used in Salisbury was made at a research institute in southwest Russia, local media reported Friday. UK spies, who briefed their allies last month on the March 4 attack on Russian double agent Sergei Skripal, allegedly pinpointed the source to a laboratory in the city of Shikhany in the Saratov region, The Times newspaper said. The outlet reports that the information about the nerve agent's origin was used to persuade world leaders of Moscow's involvement. This comes a day after the publication cited unnamed British security and government sources who said they had traced the chemical back to its source. They admitted there was no 100-percent certainty but rather a high degree of confidence. London has blamed Russia for the poisoning and rallied its allies behind it last month to expel over a hundred of Russian diplomats. Moscow has denied the claim and requested evidence or samples of the substance, identified by London as A234, a weapons-grade nerve agent. Earlier in the day, the UN security Council met at Russia's request to discuss UK Prime Minister Theresa May's letter, in which she reiterated that it was "highly likely" that Russia was behind the Salisbury attack. Russia's permanent representative to the United Nations told the UN Security Council that the UK is engaged in a propaganda war against Russia aiming to discredit the country globally. Russian Foreign Ministry: What Happened to Skripal's Pets, Why's UK Silent?